We are beyond excited to congratulate our pitch participants from Food Fun(d)ing Friday: Harvest Edition! On Friday, October 26, 2018, we held the second Food Fun(d)ing event at B’Gabs Vegan Scratch Kitchen in Hyde Park. 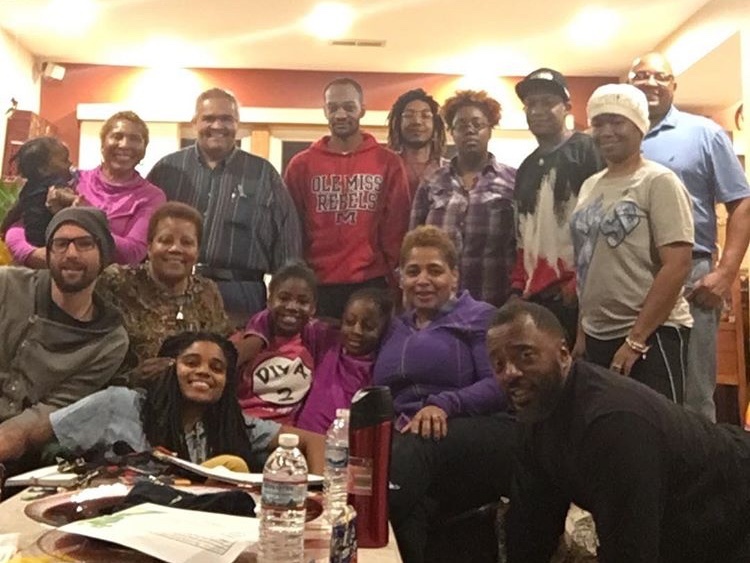 This event was put together as a labor of love from the Urban Stewards Action Network, a food system shifting network focused on Black and Brown relationship building to cultivate connections and provide peer-based mutual support. USAN, a project of Chicago Food Policy Council, has been in the works for a number of years and since its inception, USAN has lead with the values of transparency, integrity, innovation, creativity, cooperation, and celebrating the abundance of social and cultural assets. Based on the Sunday Soup model, Food Fun(d)ing Fridays is a grassroots fundraising event which convenes community members to learn about and support emerging urban farming and food projects in Chicago. The pitch presenter with the most votes walks away with the biggest money prize. In the spirit of collaboration and solidarity, all pitch presenters walked away with funds for their food-focused projects and in a surprise turn of events, two participants tied for second place! Learn more about these emerging food projects! 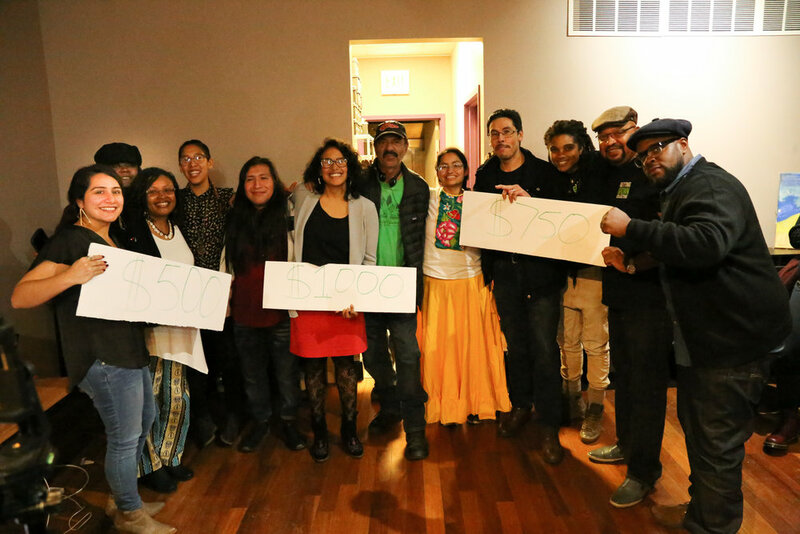 Catatumbo Cooperative Farm is an emerging workers’ cooperative that will cultivate and harvest affordable, nutritious, sustainably grown and culturally relevant produce to Latinx, immigrant, people of color, and low-income neighborhoods in Chicago and surrounding communities. They will use their $1000 award to bolster their operating fund to purchase seeds and tools for the upcoming growing season. Getting Grown Collective (GGC) is a group of family, friends and neighbors invested in the development of Black & Brown communities. In 2017, they opened the Elevated Garden, a community garden in Englewood that offers free fresh and organic produce to the neighborhood. In April 2018, they helped establish the Stem Style Garden, another community garden in Englewood. GGC plans on using their $750 award to buy printing equipment, to produce informational materials, and food, chairs, tables, and garden equipment for programming and the 2019 season. Little Village Environmental Justice Organization's Semillas de Justicia Community Garden currently serves over 30 Mexican, Immigrant, Central American, and Indigenous families in Little Village. They hosts over 20 community potlucks during the summer and three large community events a year. As they continue to grow as a community space, it has become difficult for gardeners to work comfortably due to a lack of roof structure to protect themselves from the sun and heavy rains. To comfortably welcome an increasing number of community members, their $750 award will help fund a roof structure in the central plaza of the garden. Your Bountiful Harvest (YBH) is a family farm is committed to growing healthy food to create healthy communities. They provide affordable, locally and sustainably grown produce and herbs to residents on the south side of Chicago and restaurants. Farm business opportunities will be offered where people can learn to grow their own food and take ownership of their local food system. Their $500 award will be used to purchase the supplies and equipment such as compost, seeds, a hoop house and a secure storage container to hold tools and supplies. Love our Harvest Edition? Subscribe today to receive updates about our Food Fun(d)ing Fridays Winter Edition. Save the date for Friday January 25, 2019! Consider making a tax-deductible contribution this holiday season.